If you are looking for a home insulation company in the Chicago, Illinois area, you’ve come to the right place! The expert insulation installers at ThermaSeal / Lakeside Insulation have been insulating homes, offices and commercial buildings in the area for over 10 years. ThermaSeal / Lakeside Insulation, a part of the Installed Building Products family of companies, has been serving Chicagoland since 2001 and helping residential and commercial customers alike increase energy efficiency and save money. We provide a variety of installation services, all with one goal in mind: making your life easier. Request a FREE quote for your home insulation project in Chicagoland today! Fill out the form to the side or give us a call at 800-836-2535. Are you looking to save money while living more comfortably? Do you need more home insulation in Chicago? At ThermaSeal / Lakeside Insulation, we are dedicated to giving homeowners the best quality insulation throughout the Chicago, Illinois metro area. Whether you need to insulate your attic with fiberglass or install insulation in your walls and basement, we can help! Do you own an office or commercial building in the Chicago, Illinois area? How well insulated is the building? If you need to install more insulation, call our commercial insulation contractors! 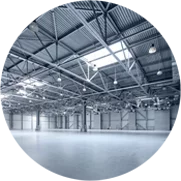 We have the expertise and experience required to insulate all types of commercial buildings. ThermaSeal / Lakeside Insulation’s trained staff of professionals will get the job done on time, on budget and in a safe manner. With our experience and dedicated staff to serve you, you can rest assured you’ve come to the right place for expert installation of different types of insulation. Ready to get started on your home insulation or commercial insulation project? No matter what it entails, we can help—just call us today at 800-836-2535 or contact us online for a free estimate!